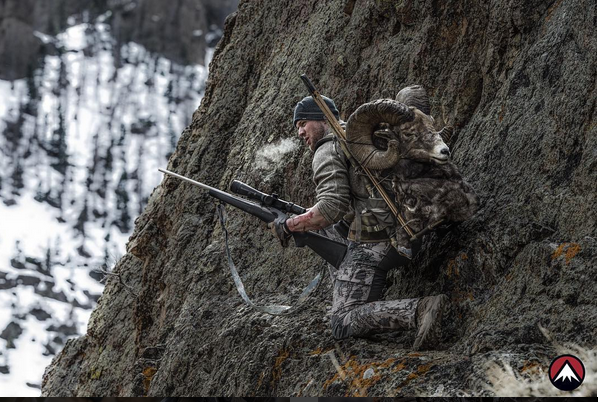 When the buck of your dreams steps out into the open you’re not going to be shooting off a bench, so once you’ve confirmed zero it’s time to perfect your field rifle skills. These three drills will get you tuned up. T his is the most useful of all the practical shooting positions. It is quick to get into and offers a great deal of stability. From a standing position, take a small step forward with your left foot and drop down onto your rear knee. (Left-handed shooters do the opposite.) 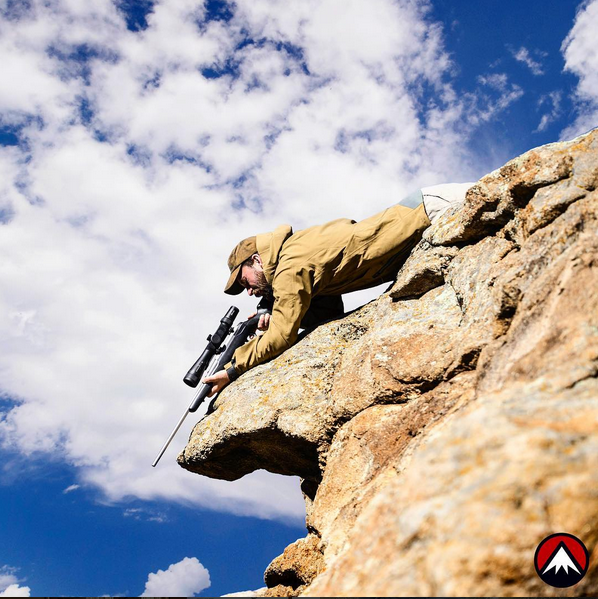 Point your lead foot slightly inward with respect to your line of sight to the target. Place your left elbow so that it rests in front of your left kneecap, with the meat of your triceps in contact with the kneecap. The rear foot can either be on the ball of the foot or folded flat under you, whichever is more comfortable. Practice dropping into position so that the rifle naturally points toward the target. This is a great drill to do with dry fire. Once you’ve established your natural point of aim, switch to live fire. Start with single shots on target then build to placing multiple rounds on steel or paper. From a standing position you want to be able to hit an 8-inch target at 100 yards in seven seconds or less. 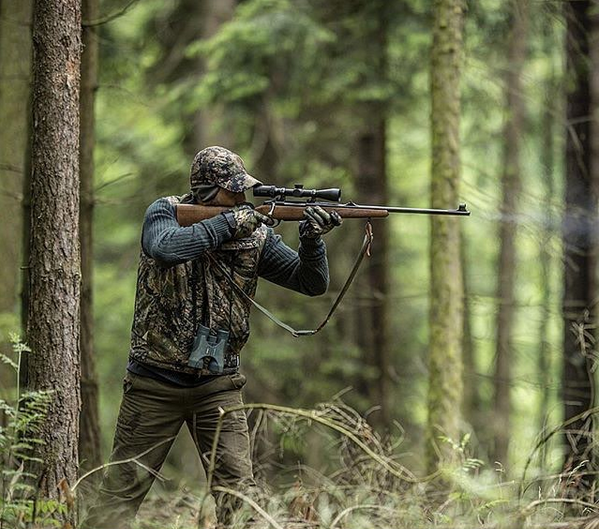 Shooting offhand is the least stable position but sometimes the only option we have while hunting. Your body should be positioned at a slight angle toward the target, with your lead foot about 6 inches in front of the rear. To control your crosshairs, use your trigger hand to pull the stock back into your shoulder with a bit more effort than you would otherwise. Make that pulling motion coincide with your trigger press and you’ll be more stable. After the shot don’t lift your head off the stock. Keep both eyes open and run the bolt. As you go to take a follow up shot, repeat the pulling action/trigger press with your shooting hand. It’s important to practice this drill with dry fire first to get the mechanics down before transitioning to live fire. Begin with single shots and then progress to strings of 2, 3 and 4 shots. Typically there are all kinds of rests available to a hunter in the woods. It’s just a matter of knowing how to take advantage of what nature is offering up. Use different types of supports at the range for practice: a folding chair, the leg of a table, a support beam, and so on. Get used to shooting from awkward heights that fall somewhere in between standing, kneeling, sitting and prone positions. Even a bush or shrub can make for a good support. Grab a handful of branches with your lead hand as you take aim and you’ll be surprised at how much stability it provides.